Facebook is attracting advertising dollars to where its users are _ on mobile devices. The online social network surpassed expectations on all fronts in the second quarter. It grew not just profit and revenue, but also its already-massive user base and mobile advertising, as well as usage of its “family'' of non-Facebook apps like Instagram, Messenger and WhatsApp. Even so, its stock price slid after the quarterly results. Expenses soared by 82 percent and cut into earnings. According to Facebook it had 1.31 billion people visiting from a mobile device at least once a month, on average, during the quarter. That was up by 23 percent from a year earlier. Facebook claimed it had 1.49 billion monthly users overall, up by 13 percent. It also had 968 million daily active users overall and 844 million on mobile devices. Facebook's mobile advertising represented 76 percent of the total advertising revenue during the second quarter. That's up from 62 percent a year earlier. While still far behind No 1 Google Inc., Facebook has been steadily growing its share of the worldwide digital advertising market. Its share was 7.9 percent in 2014, up from 5.8 percent a year earlier, according to research firm eMarketer. 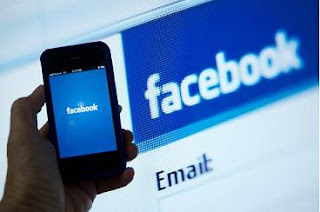 By the end of this year, eMarketer expects Facebook's share to surpass 9 percent of the US$171 billion market. Google, meanwhile, is expected to hold on to its top post with about 31 percent of the market, down slightly from last year. In all, Menlo Park, California-based Facebook Inc.'s second-quarter net income was US$715 million, or 25 US cents per share. That's down from US$788 million, or 30 US cents per share, a year earlier. Excluding special expenses such as stock compensation costs, Facebook earned 50 US cents per share in the latest quarter. Expenses grew by 82 percent to US$2.77 billion from US$1.52 billion. Facebook said costs related to last year's US$19 billion WhatsApp acquisition, as well as hiring new employees, contributed to the quarter's higher spending. Facebook ended the quarter with 10,955 employees, up 52 percent form a year earlier. Revenue jumped by 39 percent to US$4.04 billion from US$2.91 billion.